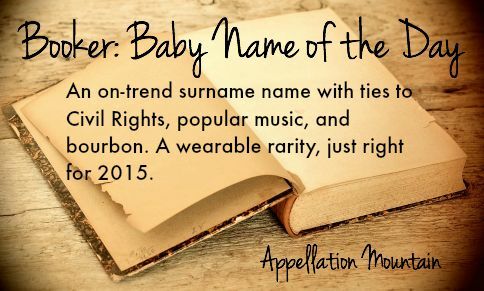 It’s a surname name with ties to literature and American history. Thanks to Elizabeth for suggesting Booker as our Baby Name of the Day. The surname was originally given to someone who worked with books – a bookbinder, or maybe a scribe. 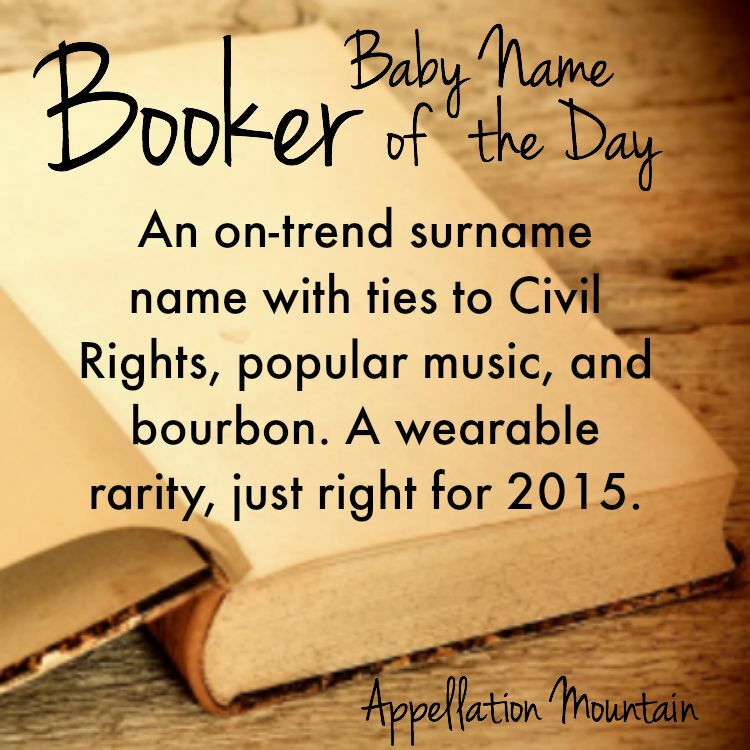 Like nearly any surname, there have been a handful of people with Booker as a given name, too. The name ranked in the US Top 1000 from the 1890s through 1966, peaking at #177 in 1910. That’s pretty darn popular, and it’s all thanks to one man. Booker Taliaferro Washington was born a slave in 1856, emancipated at the end of the Civil War, and overcame discrimination to earn an education. He became the first president of Tuskegee University in 1881. Washington called for African-Americans to advance through education and entrepreneurship, rather than ending segregation. He became a national leader, and his 1901 autobiography, Up from Slavery, was a bestseller. President Theodore Roosevelt hosted Washington at the White House – the first African-American to dine as a guest of the president. Plenty of boys were named in his honor. Following Washington’s death in 1915, the Civil Rights movement became more focused on ending discrimination. Booker slowly faded, but remained in use through the 1960s. Another powerful association with the name is the Man-Booker, an annual British literary prize. It’s the kind of recognition that propels books to the top of bestseller lists. Even being a finalist is a big deal. The name comes from Booker Group, a UK food wholesaler, and the original sponsor of the prize. The “Man” part comes from the new sponsor, the Man Group investment company. Now, to Kentucky for a very different association. Frederick Booker Noe II was the original James Beauregard Beam’s grandson, and master distiller at the Jim Beam bourbon distillery for more than forty years. Noe originally made Booker Noe small batch bourbon as a gift. It became a brand available for sale in 1992. Frederick Booker Noe III – known as Fred – is now the seventh generation of Beams to lead the operation. Producer, songwriter, and legendary frontman of Booker T. & the MGs, Booker T. Jones, has won a Grammy Award for lifetime achievement. When Johnny Depp left 21 Jump Street, he was replaced by Richard Grieco. Grieco’s character was named Dennis Booker, the star of short-lived spinoff Booker. Award-winning video game BioShock Infinite was released in 2013, with a playable character called Booker DeWitt. 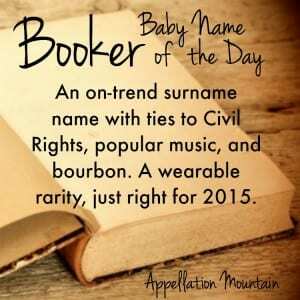 It’s easy to imagine Booker succeeding as a baby name today. 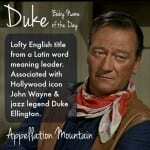 The name boasts a mix of hero and musical associations, a long history of use without being too common. The ‘r’ ending is very on trend. It’s also a celebrity baby name, thanks to Thandie Newton. The BAFTA-winning actress and her director husband Oliver Parker are the parents of three children. Daughter Ripley is named after the Alien heroine, and second daughter Nico is named after the singer. Newton has yet to comment on the thinking behind Booker’s name, but the family clearly prefers names with strong namesakes. A mere 47 boys were given the name in 2014. But that’s up from 14 in 2004. Booker remains rare today, and yet, it could be one to watch. What do you think of Booker? Is it likely to catch on? 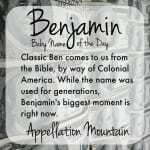 I love this name!!!! What an inspiration.